Using a federal grant, the County of Kauai has retained the services of Charlier Associates, Inc. to prepare a comprehensive Multimodal Transportation Plan. "Multimodal" means that public transit, walking, and bicycling are all considered when planning for future transportation needs. You can contribute to the information being collected for this plan by visiting www.movekauai.net. 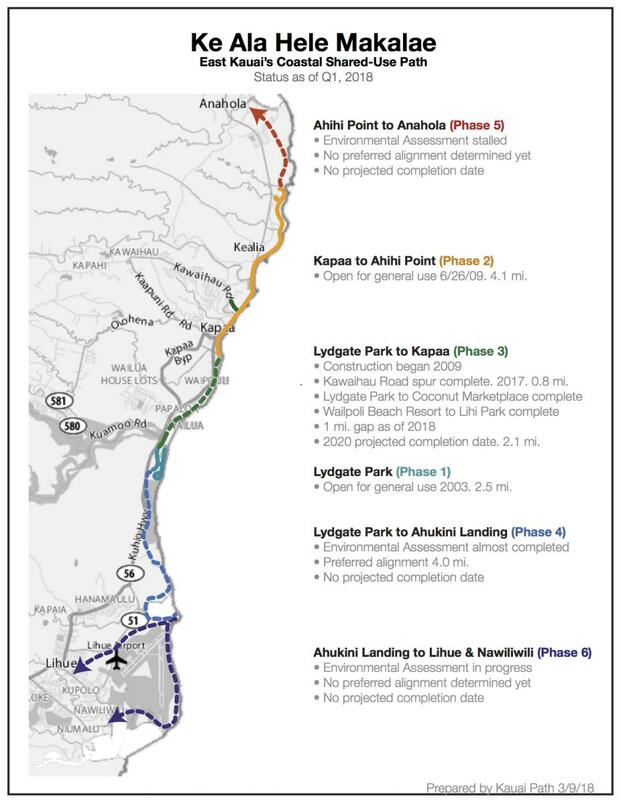 The roadway connection between Lihue and Puhi was widened by the Hawaii State Department of Transportation (DOT) to accommodate two inbound lanes and two outbound motor vehicle lanes. Broad sidewalks were built on both sides of Kaumauali‘i Highway along this approximately two-mile stretch, and the bicycling accommodations along the Highway and most importantly through the intersections are bike lanes. 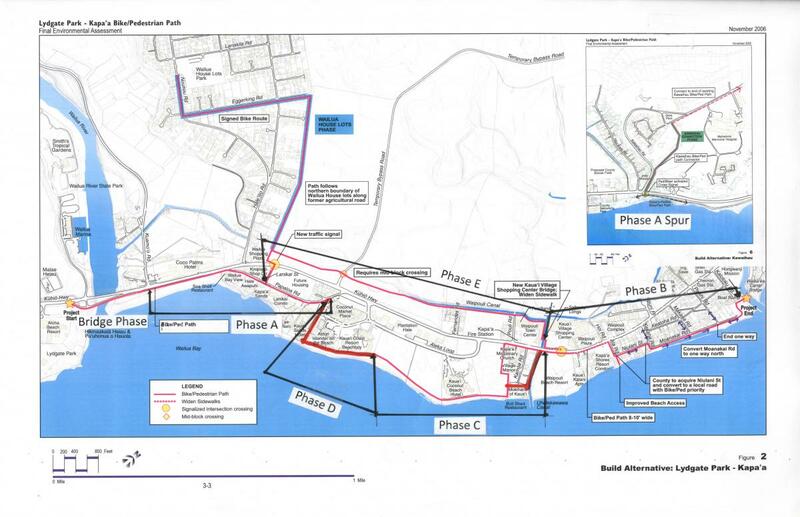 Kauai Path proactively advocated for design refinements to the pedestrian crosswalks and installing actual bike lanes, in contrast to the originally designated bike route planned for the expansion. These changes better reflect the current "Complete Streets" approach embraced by the County of Kauai and the DOT.